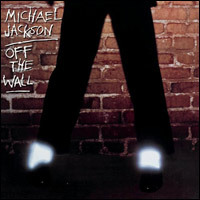 This entry was posted in song of the day and tagged Michael Jackson, Off the Wall, Rock With You. I’ve always loved this song and find it a perfect and refreshing way to come off a theme week (and a half). Talk about music that impacts an audience! How great was it to be in the audience to watch him dance on the Motown celebration or to see the debut of the “Thriller” video. If you haven’t yet see This is It, and I’m pretty sure you haven’t, you really owe it to yourself to rent it. The kids will enjoy the music, and you’ll enjoy watching this monster talent at work. Now I’m pretty sure that wasn’t really Daniel. Great song, great artist, so sad he’s gone.